One industry voice. One global association! 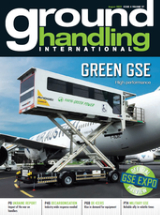 Although various regional organisations and interest groups exist to represent all kinds of aviation companies on the ground, general trends and recent developments have prompted the formation of a brand new global organisation specifically for aviation ground service providers. The Airport Services Association – ASA- brings together all relevant (and the world's major) ground handling service providers and suppliers.